You welcome me as an honoured guest and fill my cup to the brim. will be my home as long as I live. "There's a true story I love about a house party in one of the big English country houses. and use whatever talent they have to entertain the company. he recited the Twenty-third Psalm, perhaps the most beloved psalm in the Psalter. His rendition was magnificent, and there was much applause. At the end of the evening, someone noticed a little old great aunt dozing in the corner. but she was urged to get up and recite something. In those days people used to memorize a lot of poetry! 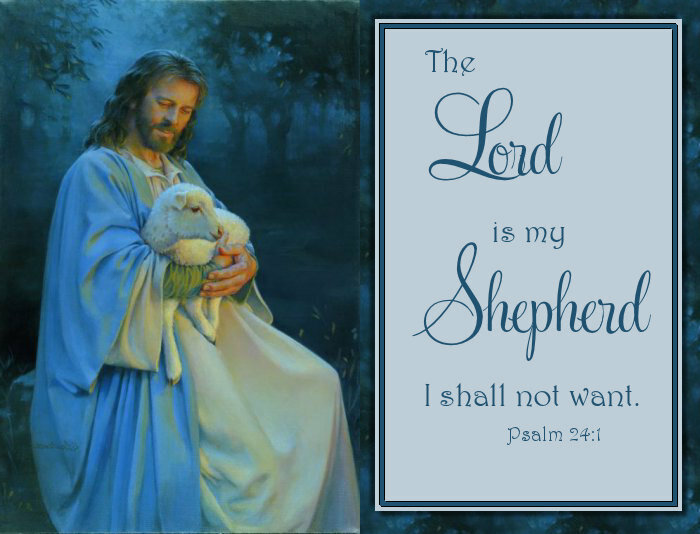 The Lord is my shepherd, and went on to the end of the psalm. When she had finished there were tears in many eyes. Later one of the guests approached the famous actor. "You recited that psalm absolutely superbly. It was incomparable. So why were we so moved by that funny, little old lady?" He replied, "I know the psalm. She knows the shepherd." Madeliene L'Engle as written in, "Glimpses of Grace"
a letter full of encouragement for him as pastor and friend. Included in the letter was an outline for a sermon on Psalm 23, her favourite psalm. all found to be true in the life and experience of Nellie Harley. 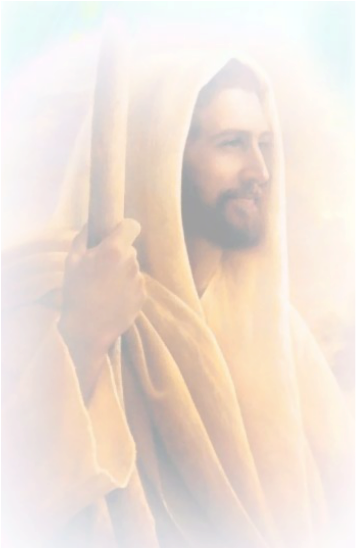 The Lord – perfect God m( v-1). My Shepherd - perfect Keeper. Green pastures - perfect supply. In presence of enemies – perfect safety. In the house of the Lord forever – perfect destiny. e setteth me to feed. and thou art with me still. and thou anointed hast my head. 3. He refreshes my soul. 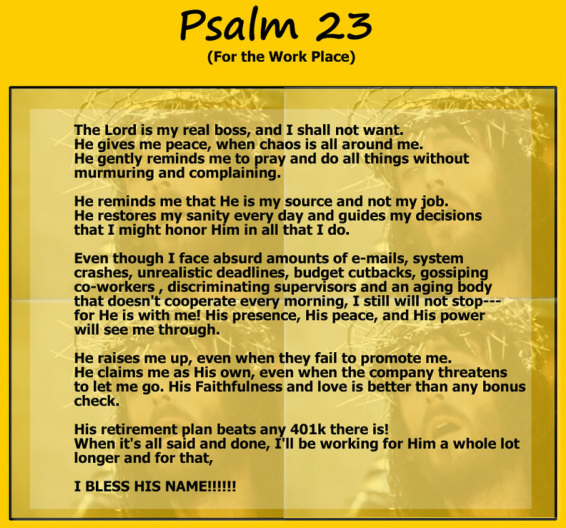 the most quoted passages in the Bible; Psalm 23. She gave the youngsters a month to learn the verse. Little Bobby was excited about the task. But! , he just couldn't remember the Psalm. After much practice, he could barely get past the first line. "The Lord is my shepherd and that's all I need to know." 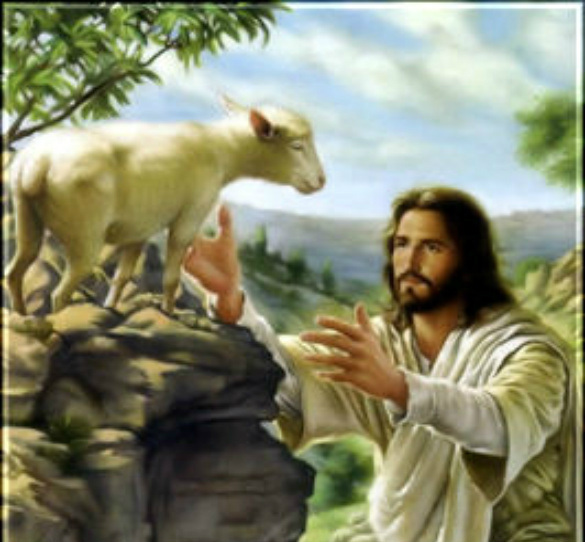 The Lord is my Shepherd; - That's Relationship! He makes me to lie down in green pastures; -- That's Rest! He leads me beside the still waters; -- That's Refreshment! He restores my soul; -- That's Healing! He leads me in the paths of righteousness; --That's Guidance! For His name sake; -- That's Purpose! Yes, though I walk through the valley of the shadow of death; -- That's Testing! I will fear no evil; -- That's Protection! Your rod and Your staff they comfort me; -- That's Discipline! You prepare a table before me in the presence of my enemies; -- That's Hope! You anoint my head with oil; -- That's Consecration! My cup overflows; -- That's Abundance! Surely goodness and mercy shall follow me all the days of my life; -- That's Blessing! And I will dwell in the house of the Lord; -- That's Security! In deepest channels – He steereth me. He keepeth my log. He guardeth me by-The Star of Holiness, for His name’s sake. I will fear no danger, for thou art with me. Thou preparest a harbour ahead, in the haven of Eternity. Thou anointest the waves with oil, my boat rideth calmly. Surely, sunlight and starlight shall favour me, On all the voyages I take.